The Japan Times article on Japan’s application to UNESCO to have 和食 [washoku, Japanese cuisine] declared an internationally recognized “intangible cultural asset” is a fantastic display of modern cultural discourses. 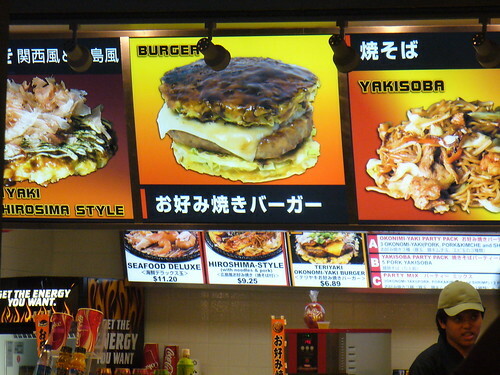 The combination of bad food history, the distortions of modernism, and abject credentialism is really quite disturbing. The attempt to leverage international affirmation into economic and cultural power is striking. Japanese cuisine has been immensely influential in the world — attested to by the number of Chinese buffet places in my own little corner of the midwest with sushi bars, not to mention three Japanese restaurants in neighboring Joplin, Missouri — and Japanese cuisine in Japan already has an immense amount of respect and power. But it’s not enough, apparently. I don’t put a lot of stock in online government surveys, mind you, but there’s a very common dynamic at work there: everyone wants to preserve what’s special about the past, about the tradition, but there’s a shrinking number of people who want to actually live and work under traditional strictures or limit themselves to traditional artistry, and a shrinking number of people willing to pay enough for culinary or cultural artifacts to make strictly traditional methods economically viable. Makoto Osawa, director of policy planning of the agriculture ministry, said, “Japan, thanks to its shifting seasons, has a rich variety of food ingredients, while cooking methods vary depending on local conditions.” As an example of the diversity found in Japanese cuisine, the ministry cites “nabe” pot cooking from the Tohoku region, which developed out of the cold winters and active fishery industry. The implication that other societies don’t have shifting seasons, cold winters, active fishing traditions, or seasonal foods like the Japanese takes me back to our year in Yamaguchi, where nobody would believe that Americans from the mid-Atlantic and MidWest could have experienced anything like the heat or humidity of a Japanese summer. Washoku in this regard is an interesting mix of real regional traditions and an elite aesthetic heavily influenced by poetic aspiration.1 Of course, Japanese consumers are full participants in a globalized industry of constant food production and availability — or they would be if their government didn’t continue to practice some fairly extreme forms of food security protectionism. Foods like eel which are now available year-round still have strong seasonal associations, and possibly even a seasonal consumption shift, but it’s unclear whether the Japanese are “locavores” in any meaningful sense. And the claims of healthfulness are interesting as well. Life expectancy and obesity rates compare favorably to the US, of course, but that’s not the highest standard in the world at the moment. Japan’s longevity has a great deal to do with their system of socialized medicine. Japan’s lack of obesity has a great deal to do with other factors as well, including low rates of automobile use and a mid-century rationing/famine that lasted over a decade. Food patterns matter, of course, and it’s certainly true that Japanese food patterns seem to persist longer than some other cultures2 but it’s also true that Japan’s “traditional” food cultures are heavily shaped by deprivation and isolation rather than aesthetics or conscious healthful choices.3 Humans have eaten seasonally and locally for thousands of years, though Japan’s early modern isolation extended the patterns. Don’t get me wrong, I think Japanese cuisine is great food, a worthy addition to global food culture, and the idea of a more seasonal, localized agriculture is economically and environmentally sound. But the modernist institutionalization of Japanese food culture as a traditional repository of modern virtues rests on a shaky intellectual foundation. 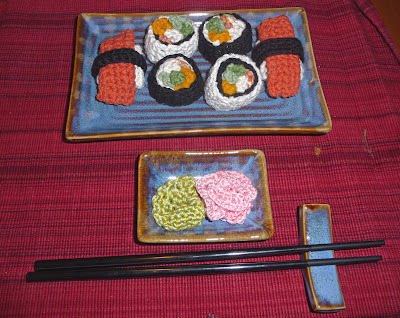 The March 2012 attempt of Japan’s Agency for Cultural Affairs to have Japanese dietary culture (washoku) declared a UNESCO Intangible Cultural Heritage Asset does not have to be seen in a sinister light. UNESCO has already recognized the traditional cuisines of France and Mexico as Intangible Cultural Assets, and there are many reasons why Japan’s own rich culinary heritage should receive similar international honor. Japan’s application mentions French and Mexican cuisines, so it would be difficult to argue that efforts to promote Japan’s foodways mark a failure to recognize significant food cultures outside of its borders. Some might automatically criticize the impulse to preserve any Tradition, but in this case the definition of tradition provided by the Ministry of Culture, i.e, the “traditional dietary culture of the Japanese” (washoku), is open to interpretation. 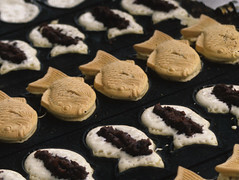 Japan’s UNESCO application acknowledges regional variations in Japanese dietary culture as defined by local communities, rather than making an attempt to project a particular image of the Japanese diet backward historically or horizontally today to quash diversity, which could be the fear were a more restrictive definition of Japan’s traditional dietary culture deployed. 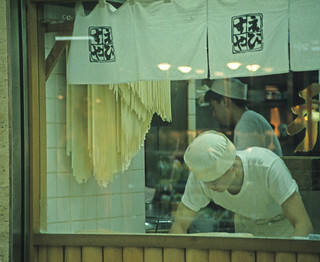 Rather than being pointlessly cynical, we should applaud the effort to gain further international recognition for Japan’s diverse local food culture, which is generally more healthy than other options, and not widely known outside of Japan, judging from the menus of “Japanese” restaurants internationally that restrict themselves to sushi, sashimi, and tempura. To some, noh and kabuki might seem more logical recipients of UNESCO designations than something as mundane as food, but unlike traditional theater, which might amuse us, food becomes us. So all of us should endeavor to eat better and locally taking inspiration from the Japanese example in this case.